Save your back and your fingers. Stubborn hatch covers yield to the leverage in our specially shaped bar. 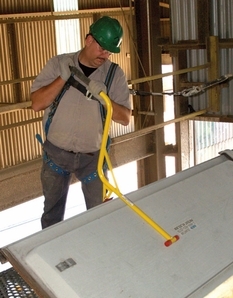 Worker should be secured to fall protection cable while using Hatch Key™ pry bar.